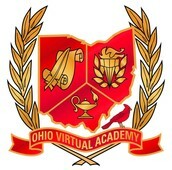 Can you believe we are in week 6 of the school year? Everyone has been in the trenches for six weeks, working to on-board new students, balance multiple cohorts, reach the families that are hard to find, and provide engaging instruction. Kyle, Marie and I are grateful for all you do on a daily basis. Below in the data corner I shared some pretty encouraging visuals that reflect your hard work. Although our passing rate is taking a bit of a dive (normal for this time of year), you can see that only 8.2% of students did not log in at all last week! 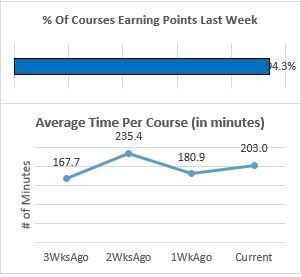 94% of students earned points in courses last week and average time spent in courses is on the rise! This is encouraging and is a reflection of your perseverance and dedication. Thank you for all you do! 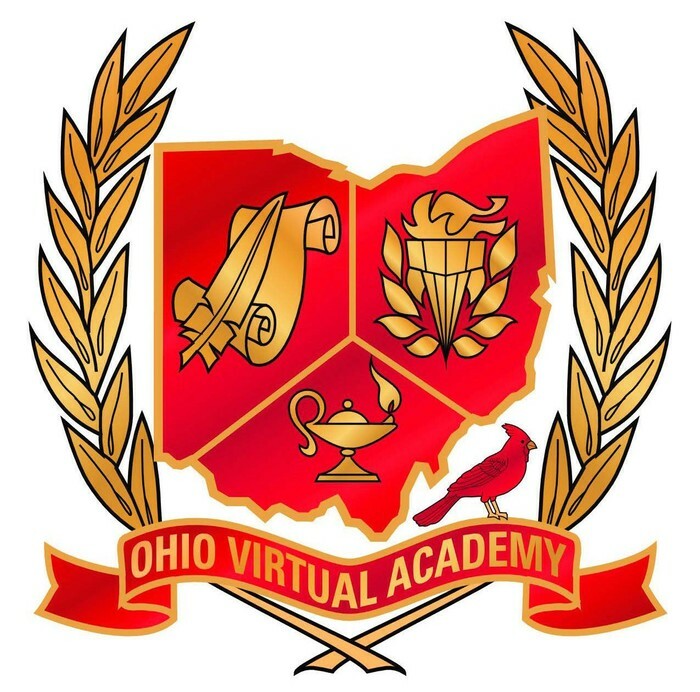 No HS Team Meeting today – Take this time to call your students! Marie's k12 email is set up! This year we have a new board approved grading scale. Please note that this grading scale is not reflected yet in the LMS. For example, at this point you would see a grade of 94% as an A-. This should be an A and we are working on getting this fixed. We are happy to have Katie Bryant back from maternity leave! Attached is a counselor breakdown reflecting her return. A special thanks to Crystal Durbin, Yvonne Arling, Mari Schappacher, Cassie Boron, and April Thim for attending a Math Summit in Columbus on Friday to work with all grade bands to develop a plan to improve state test scores. The information they shared was invaluable. Thank you ladies for giving up a day out of your offices. Kyle and Marie are in their offices all week. Andrea will be out part of Thursday and Friday, and will be at the office on a day that has not yet been determined.